Sydney, July 30: Former Australian speedster Brett Lee is seeking David Warner's return to the national cricket side and wants him to open with Shane Watson in the ongoing Ashes series. Lee wants Warner to take the place of Chris Rogers who has failed to perform except for one half century in the first Test at Trent Bridge. "I reckon someone like Warner is a match-winner. You've got to inject him into the team. Nothing against, he's got good figures and he's done well, but get someone like a Warner to match up with a Watson - someone who won't back down to the English. Whether or not he gets any runs, he's going to give it to them," Lee was quoted saying in the Sydney Morning Herald on Tuesday. Lee was sure of Warner's ability as a match winner along with Watson and captain Micheal Clarke and was believes that Australia can turn the tide against a confident England team who lead 2-0 in the five-match series. "We've got that in Shane Watson, Michael Clarke when he's batting well. Why not give someone like David Warner a chance because he's a match-winner? England are looking very confident now. Gramme Swann is bowling with pure confidence and their batsmen are backing that up. We don't have that with the Australian team right now. It only takes one huge innings or one good bowling spell to get the boys back in the right frame of mind. I've got no doubt they can do it," Lee said at a promotional event in Sydney for the launch of the 2015 World Cup. 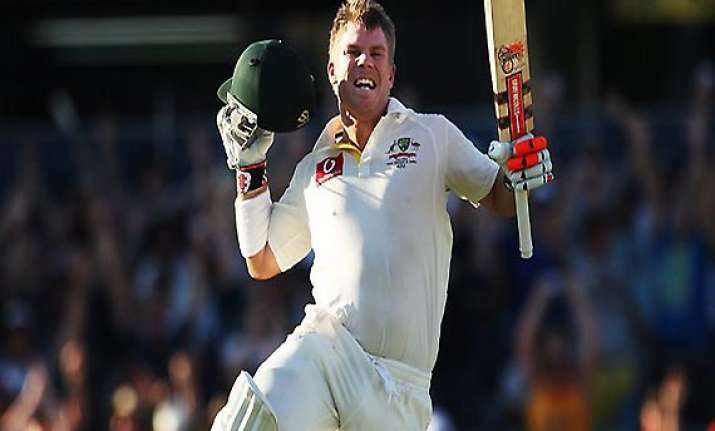 Warner could be a part of the team for the third Test as he returned to form by scoring 193 for Australia A against South Africa A but coach Darren Lehmann said that it is still not certain that the explosive left-handed batsman will play. “He's not a certainly no. He got 193 and played well, did exactly what we wanted him to do. Again we'll have to look at the wicket and we come up with the top six,” Lehmann had said earlier.